Full disclosure: I have never been on a Club Med vacation, but I have a pretty good imagination. 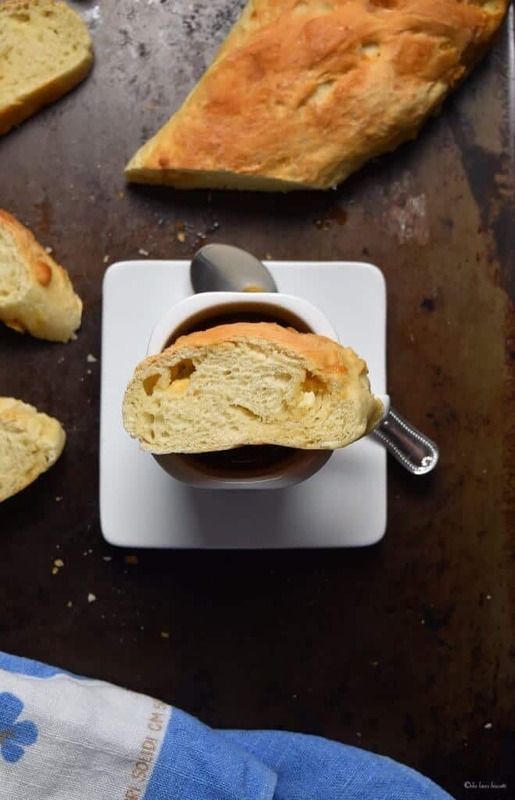 So when I was told this Easy White Chocolate Chunk Yeast Bread is the most popular breakfast item served at club med… that’s all I needed to know to start day dreaming. I don’t know where you are in the world, but I am looking out my window and it is snowing… again! According the The Weather Channel, we will continue to receive snow for a few more days! Don’t get me wrong, I love winter… but I am sooo ready for spring. So, maybe I am in denial, or maybe this is some wishful thinking on my part… but today, I wanted to share a tropical vision with all of you to counterbalance the fact that old man winter still has a few more snowflakes he needs to share with all of us, at least in my neck of the woods. So, without further ado, let’s talk about this Club Med sensation. You truly won’t believe how easy it is to make this bread. Honestly, if I can do this, so can you! It all begins with your stand mixer, some bread flour, yeast and the paddle attachment. Mix on low speed just to make sure the yeast is well distributed. We are using bread flour in this recipe because it has a slightly higher protein content than all purpose flour. 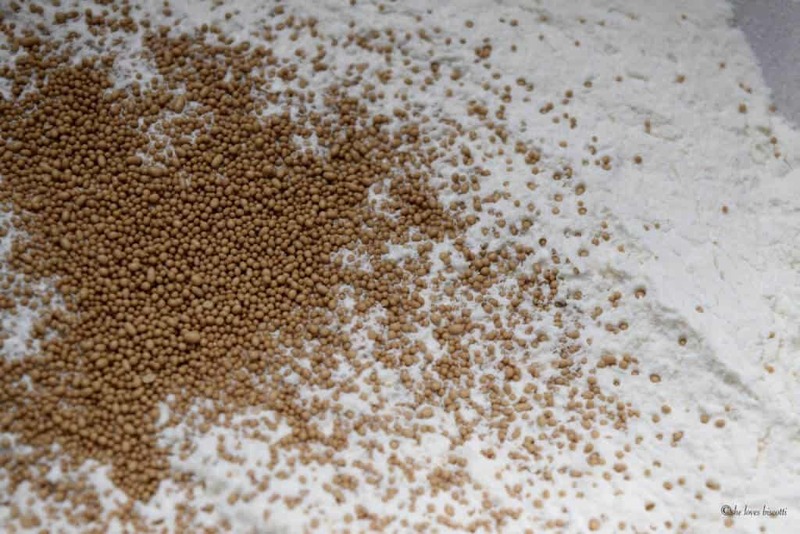 A higher protein content means a higher gluten content, which in turn provides a better structure for our bread. If you are interested, the kitchn has a great article on bread flour. Add about 1 1/2 cups of lukewarm water and let the paddle attachment do the work for another couple of minutes. 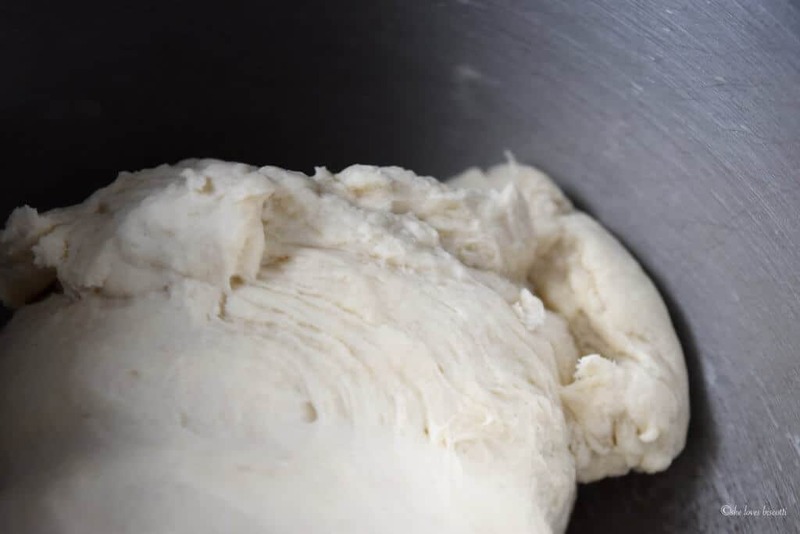 At this point, switch to a hook attachment and let your wonderful stand mixer knead the dough for about 10 minutes. Alternatively, you can knead by hand. 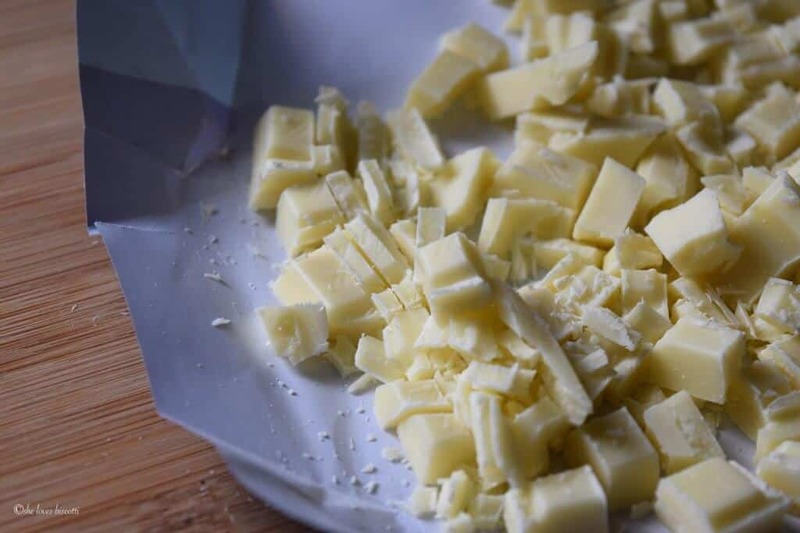 In the meanwhile, you can chop up the white chocolate. If you can, purchase a high quality white chocolate, it will make a difference in your final product. As the kneading process comes to an end, add the salt and knead for another minute or so. Finally, add the chopped up white chocolate – and that’s it. Now we wait. Give the dough an hour or so to rise. It should double in volume. Now it is time to punch down the dough and transfer on a lightly floured wooden surface. I separate the dough in thirds and knead each section a couple of minutes to form a baguette. I place each baguette on a parchment lined cookie sheet and wait until they have doubled in sized to be baked. Waiting is definitely hardest part about this recipe… but the rewards are grand! A few months ago, a colleague of mine, Karine, shared this “Recette de pain au chocolat blanc” with me. She described it as a soft yeast bread which obtained its’ sweetness from the white chocolate chips. “Maria, c’est une recette écoeurante!” Well, her enthusiasm and her conviction about this recipe peaked my curiosity. 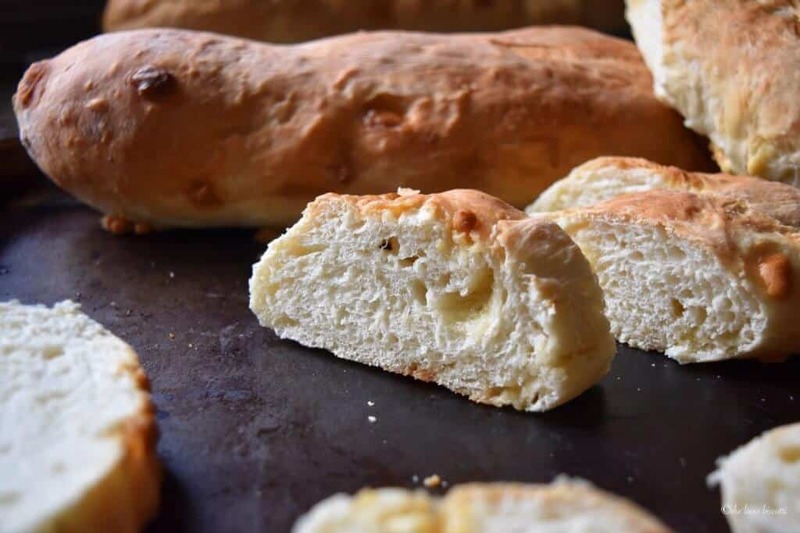 How can I possibly resist an amazing recipe… and so I had to give this Easy White Chocolate Chunk Yeast Bread a try… with a couple of changes, of course. I ended up replacing the white chocolate chips with a piece of higher quality white chocolate that I cut up into chunks. I also reduced the total amount of white chocolate because often times I find recipes that include it too sweet. I also played around with the proportions of the flour and water in order to use one envelope of yeast. 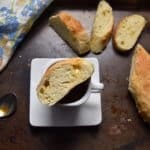 The first time I tried the recipe, the bread came out a little dry, despite the fact that I placed a pan of water at the bottom of the oven to “create steam” as indicated in the recipe. So the next time I tried, I immediately reduced the initial temperature of the oven (from 450°F to 350°F) as soon as I put the bread in. I was a lot happier with the final product. 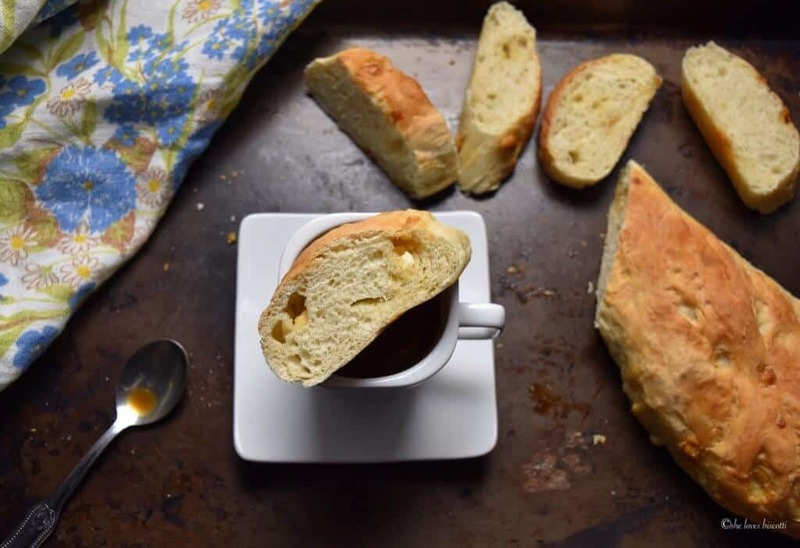 Toast a few slices of this Easy White Chocolate Chunk Yeast Bread to have with your morning coffee… close your eyes and just imagine those seagulls (or should I say ducks ♥)… spring will be here before we know it! 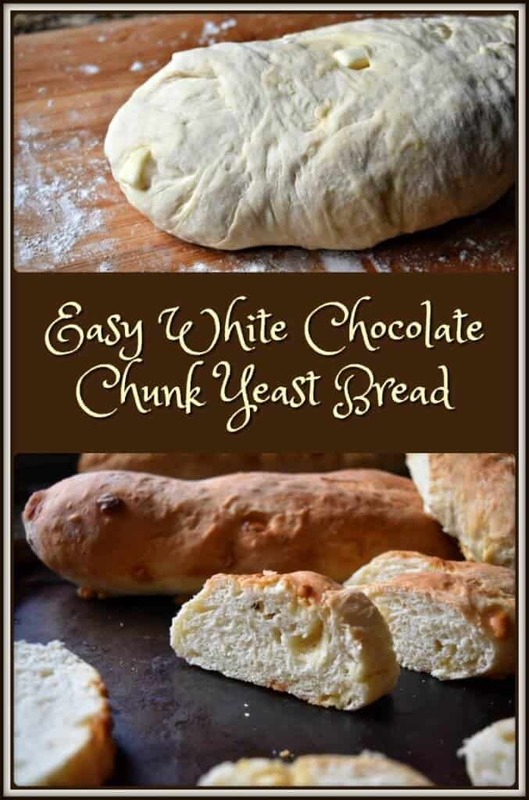 The hardest part of making this recipe for Easy White Chocolate Chunk Yeast Bread is waiting... but the rewards are grand! In a large mixing bowl (of stand mixer) combine 3 3/4 cups of bread flour with yeast. With paddle attachment, mix on low speed for about one minute. Add water and continue beating until well incorporated (2-3 minutes). On medium speed, mix for about 6-8 minutes or until smooth and elastic. Alternately, you can knead by hand. Add the salt and continue kneading for about 2 minutes. 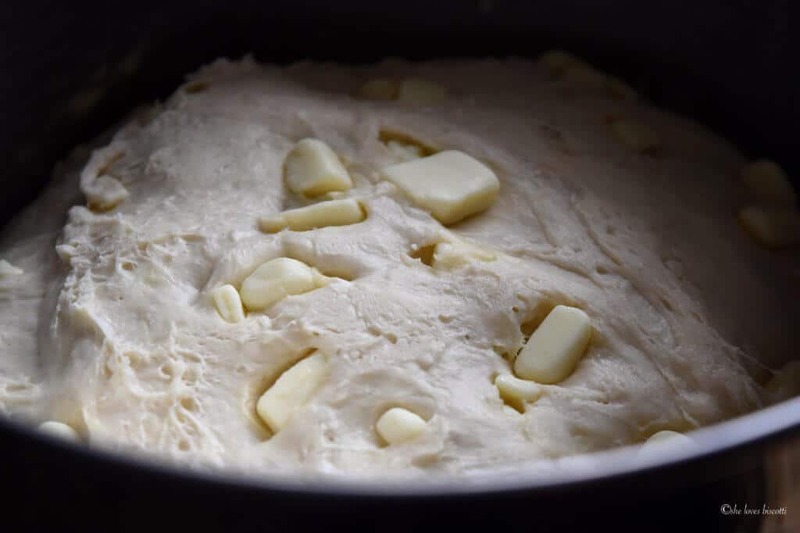 Add the white chocolate chunks and knead for another 2 minutes. Cover loosely with plastic wrap and clean tea towel. Let rise for about 1 hour or until double in size. Turn out dough on a lightly floured board and knead for a few minutes. Roll each third into a baguette shape and place on a parchment lined cookie sheet. Place a pan of water at the bottom of the oven. 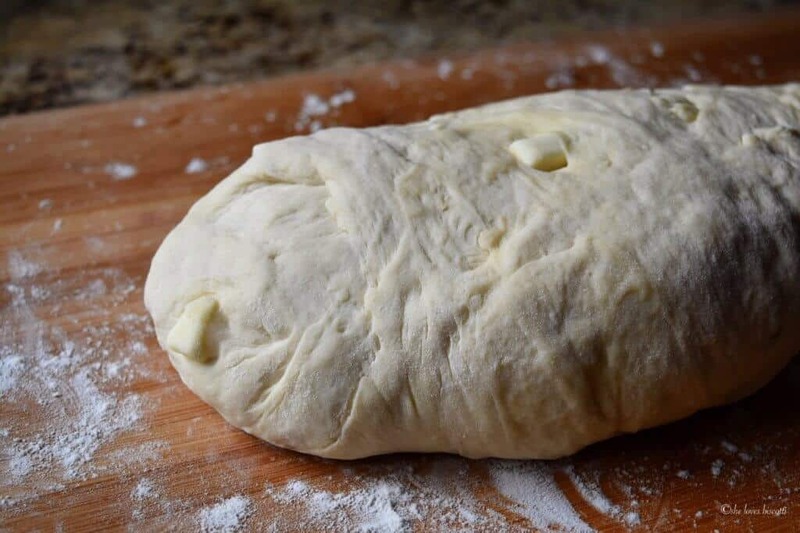 When the loaves have doubled in size and are ready to be baked, reduce oven temperature to 350°F and immediately and quickly place the loaves in the oven. Bake for about 25 minutes or until crusts are golden brown. Best the day they are made. I prefer my bread not too sweet... feel free to play around with the total amount of white chocolate. I love yeast breads!!! I can’t wait to try this… thanks for sharing. As I prepared to read the Sunday paper that bowl of steel cut oats doesn’t seem to appeal to me. What a delicious and comforting way to start the day. My apologies Paula… too bad you are not closer… Thanks for bringing a smile to my face ♥♥♥ Have a great week!